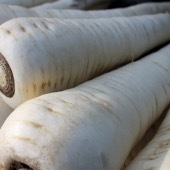 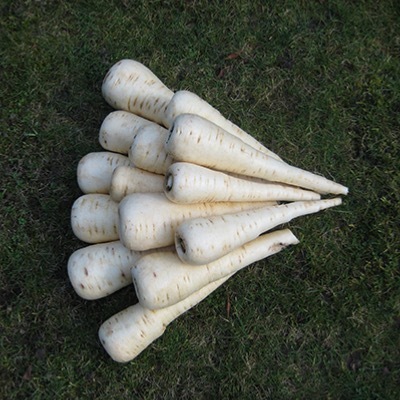 Long white roots, Parsnip Duchess F. 1 Hybrid has won 100s of shows in the UK . 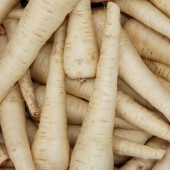 More bulk than Countess, resistant to canker. Excellent flavour.